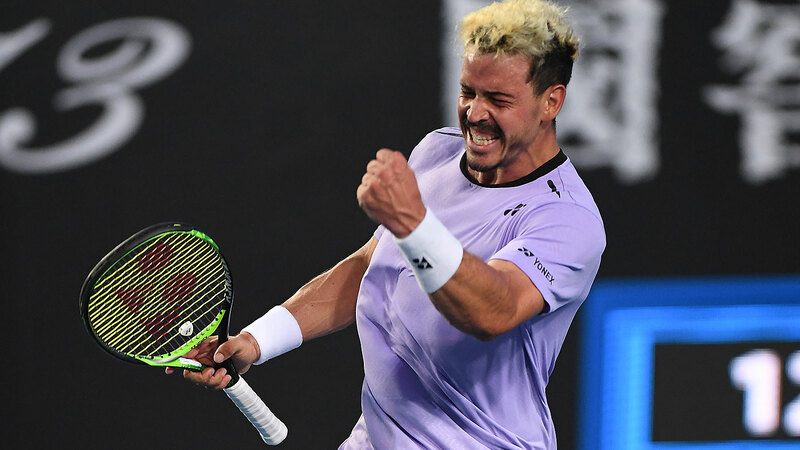 Australian wildcard Alex Bolt has stunned French 29th seed Gilles Simon to book a career-first third-round appearance at the Australian Open. 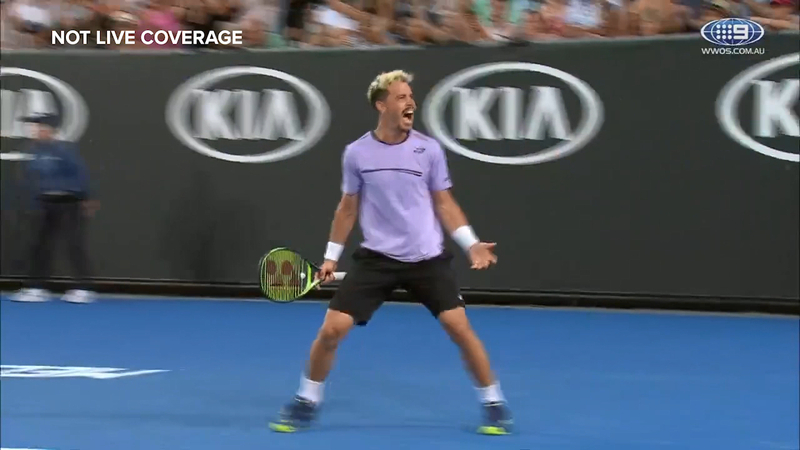 The Australian’s win prompted chaotic scenes on Show Court 3 as he prevailed 2-6 6-4 4-6 7-6 6-4 after pulling off some crazy winners in a tense fifth set. The 26-year-old’s win was his first against a top 70 ranked opponent and he described the win as the “best thing [he’d] ever experienced in [his] life” in his post-match interview. Bolt came into his second-round clash flying high after a thrilling win over Jack Sock, but was given a prompt reality check as Simon started the contest on fire. The French 29th seed has previously made a quarter final at the Australian Open and he showed his experience against the little-known local, taking out the first set 6-2. However, after the early blows from Simon, the crowd-favourite Bolt settled into the contest. Bolt's lethal forehand resembled Jekyll and Hyde as he was able to unleash winners while also committing several unforced errors. The Australian's rash stroke play even prompted tennis legend Todd Woodbridge to label his inability to structure a point a 'headspin'. However, Bolt impressively put his 'headspin' moment aside to take the second set 6-4. While the momentum was in his favour, the match had plenty of twists and turns to come as Bolt’s rash forehand continued to prove to be a double-edged sword, providing winners and unforced errors with similar frequency. Simon capitalised on Bolt's erratic playing style to put himself in pole position to take out the match by winning the third set 6-4 – but he couldn’t put the bleached blonde Aussie away and in the end that cost him.